We’ve just come back from a trip to the Lofoten, a group of islands south of Tromsø famous for its impressive scenery 🙂 We left on Saturday afternoon, with the last ferry to Senja. 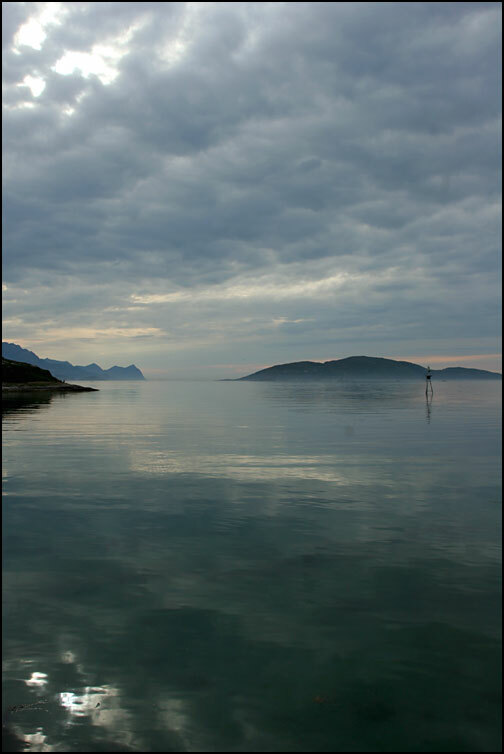 The weather was grey, the sea was calm and reflecting the grey skies… beautiful! Soon the scenery became more spectacular, and we stopped at this viewpoint where they built a very nice wooden structure to take you onto the rocks where you have the view. 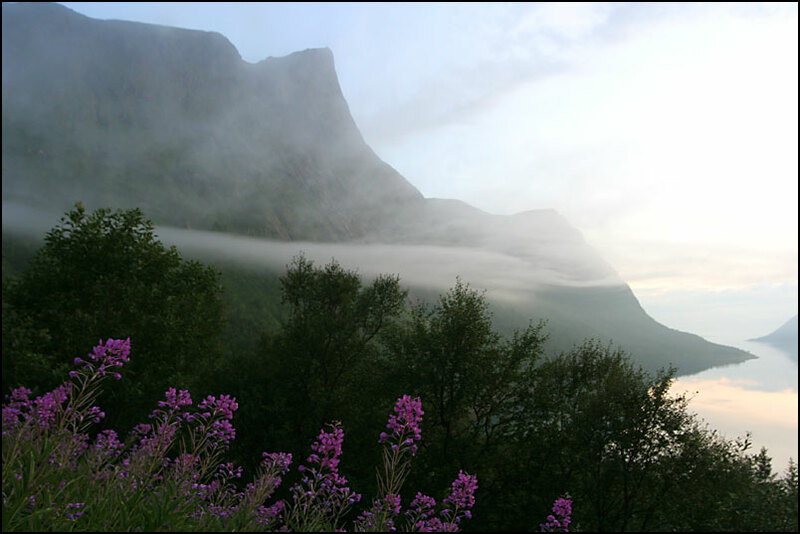 At night, we drove through patches of fog, which was really spectacular when seen from higher up! 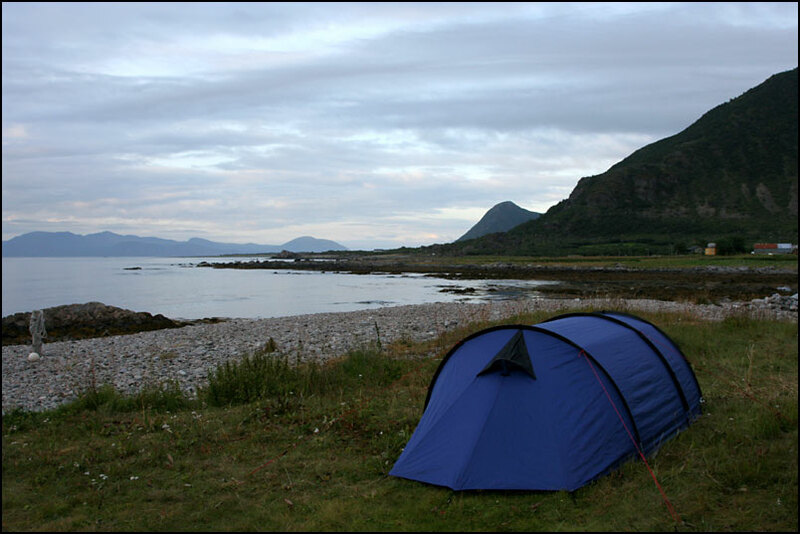 We camped in Gryllefjord, as we were planning to get the ferry to Andenes from there the next morning. 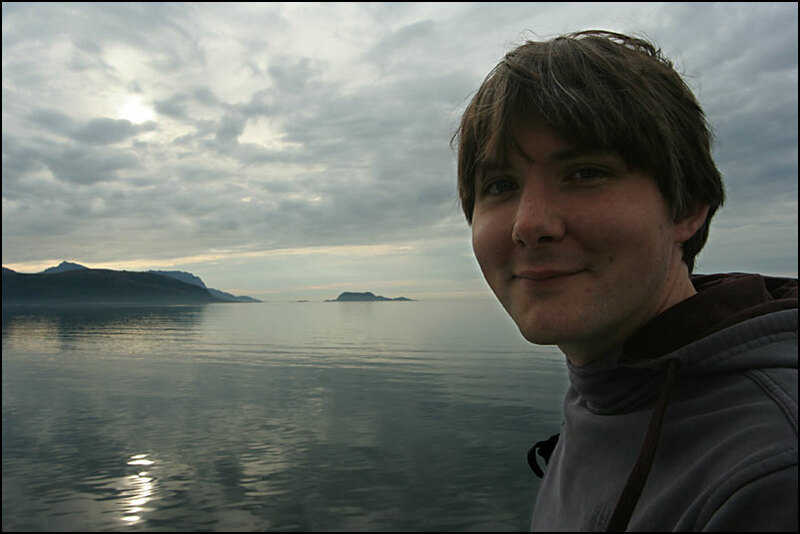 The crossing took 1.5 hours, and we saw lots of puffins and some dolphins on the way. 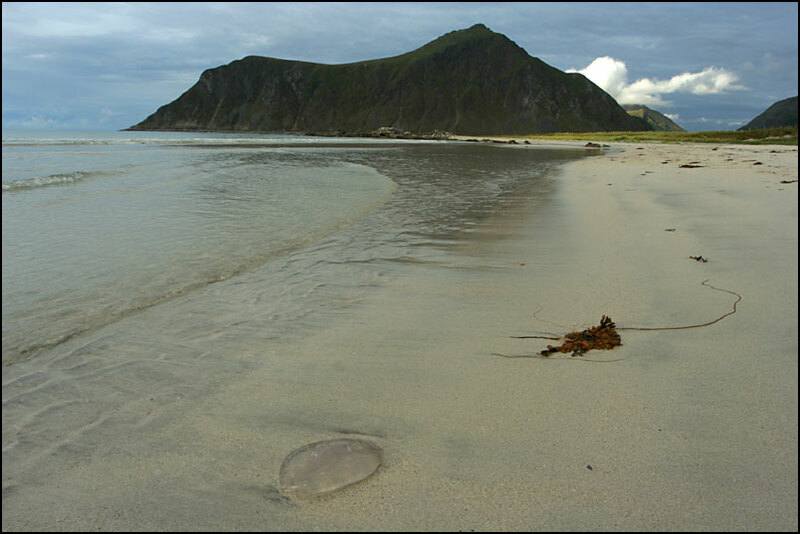 In Andenes, we met up with a friend (Njål) who lives there. 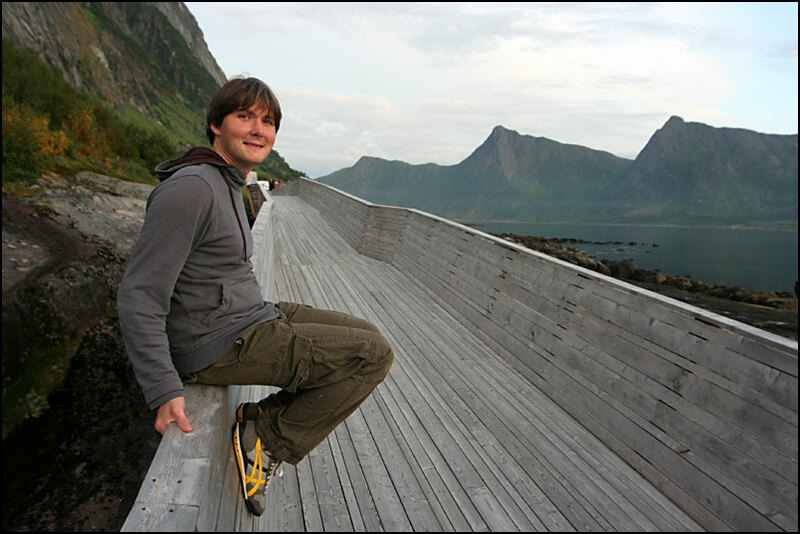 He showed us around Andenes. The lighthouse is made of solid metal! 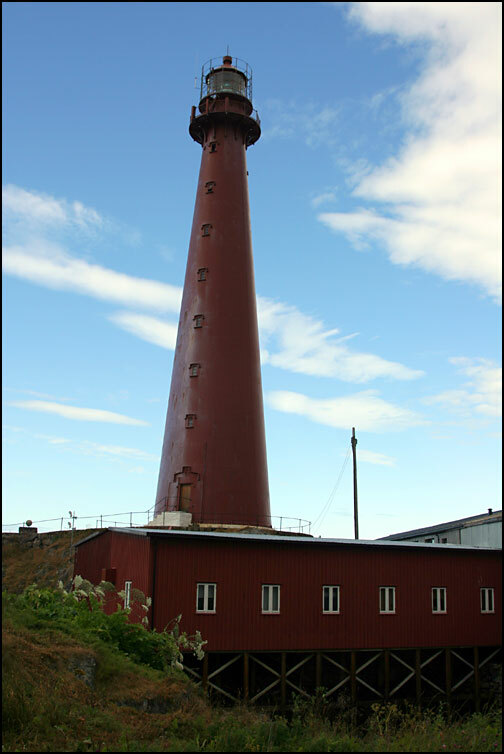 Njål works at the Andøya Rocket Range which is located near Andenes. He gave us a tour of the range, which was really interesting. They launch rockets from here, for example for studying the aurora, and they do a lot of summer camps too. A really interesting place! 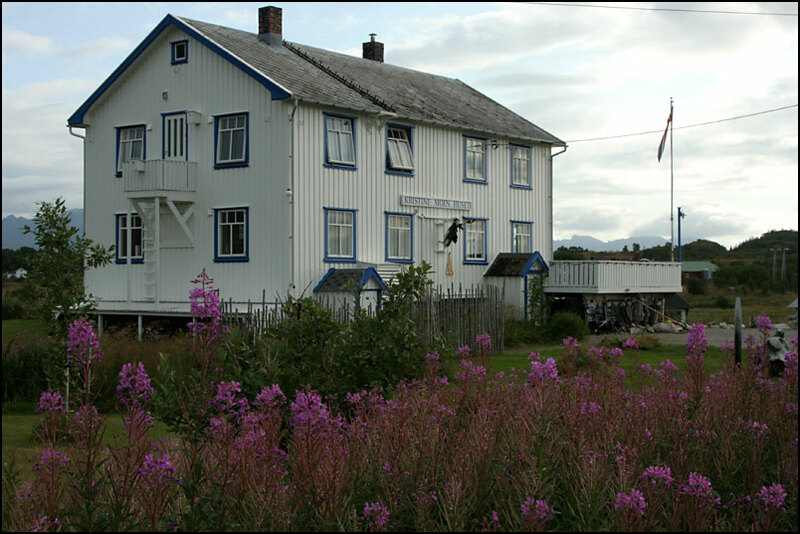 After that we all went to Bleik, a very nice village a bit further south. We walked around for a while, below some impressions of the village, which has some really nice beaches! 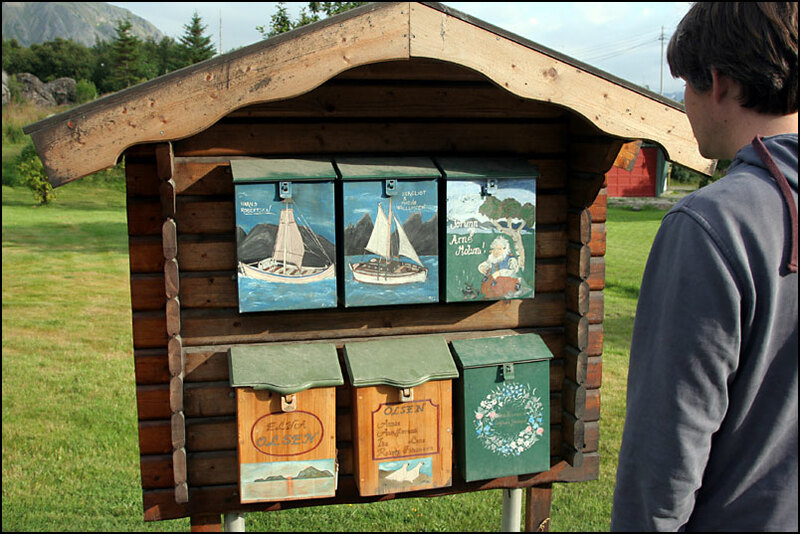 After a coffee and cake we said goodbye to Njål and continued on our way to the Lofoten. 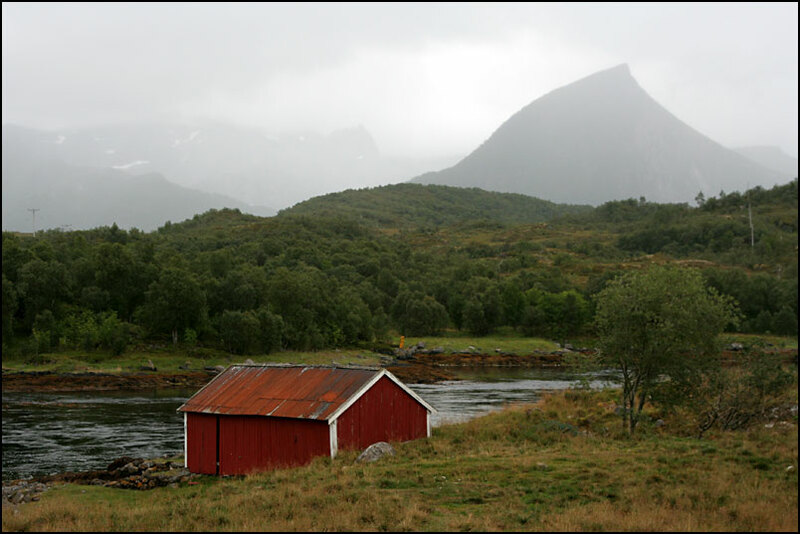 That night we stayed in a cabin on a campsite in Sortland. The next day we made a quick stop in Stokmarknes. 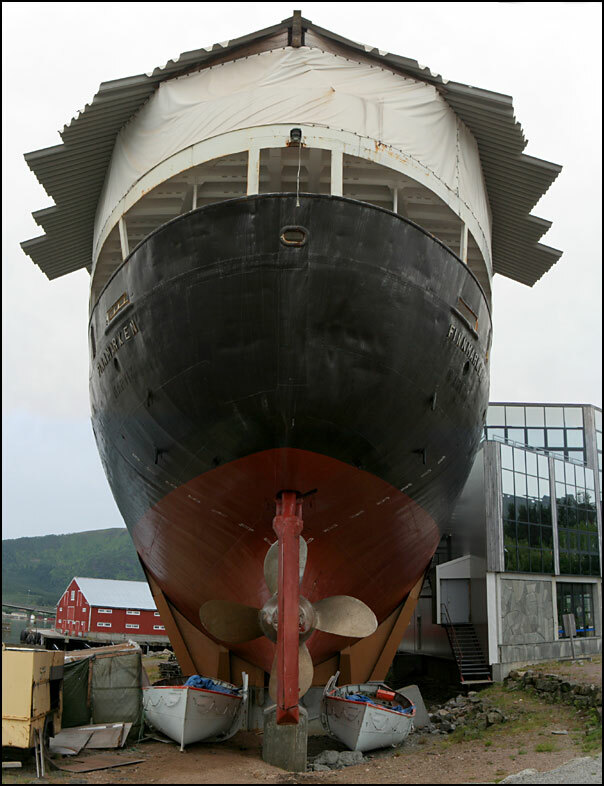 This is the “home” of the Hurtigruten, and there was a large museum including a ship. We didn’t go inside the museum, but it was fun walking around this big ship. 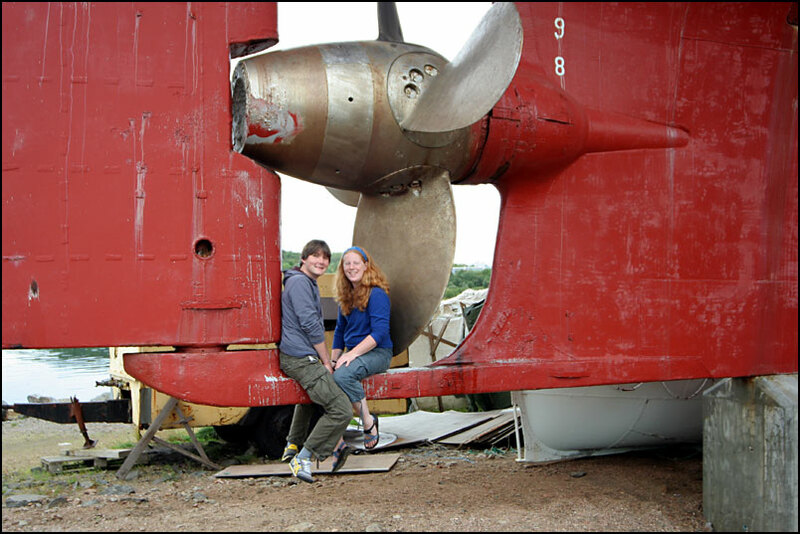 You could even climb below the propeller, which is HUGE! 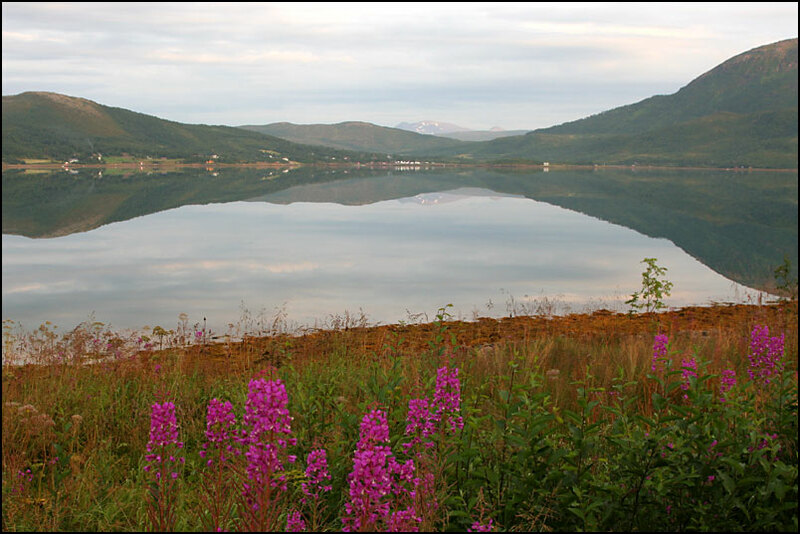 Laukvik is a very nice village, we spent some time walking around. 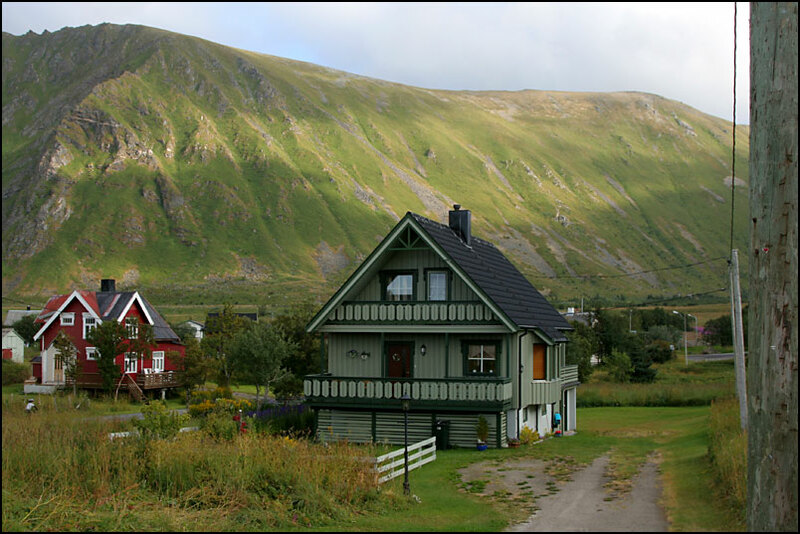 This shed and house are owned by a Dutch travel organisation, looks very nice! 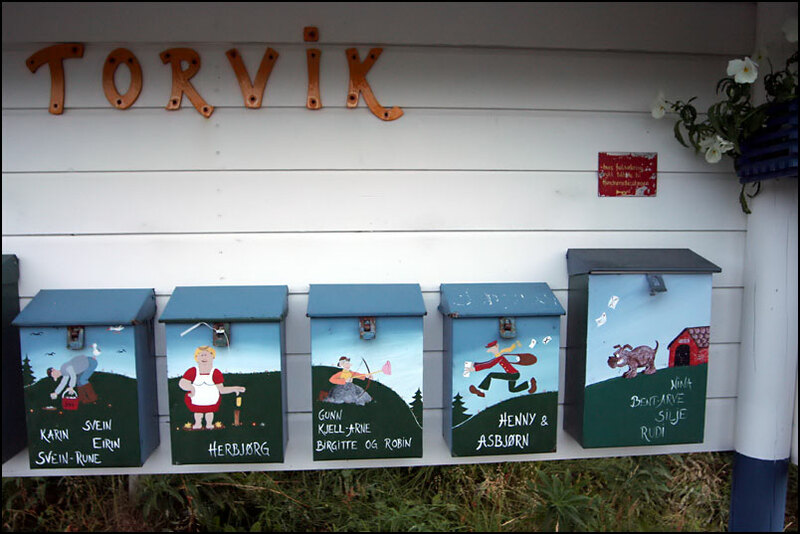 In the morning, while Paul was still sleeping, I went to visit the other Dutch couple living in Laukvik. 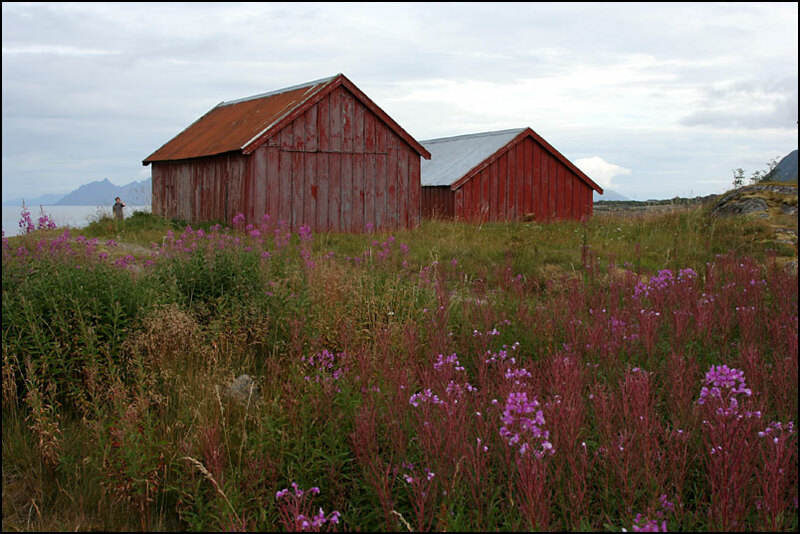 They had converted a sheep barn into an art gallery, which was very beautiful. I really liked our visit of this village, and meeting the people there! It started raining just after we put the tent away, and we started our drive further south. The views were nice, even in this rainy weather. 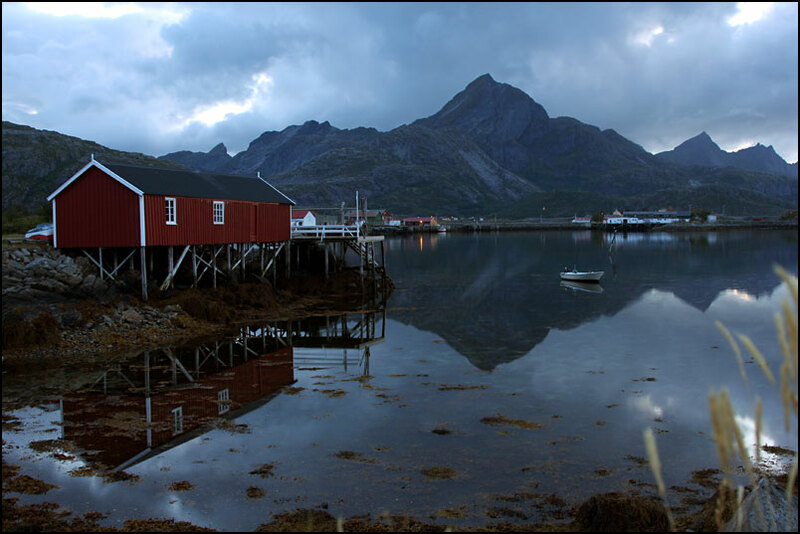 We drove to Svolvær, the capital of the Lofoten. It was full of backpackers waiting for buses, and was really touristy. 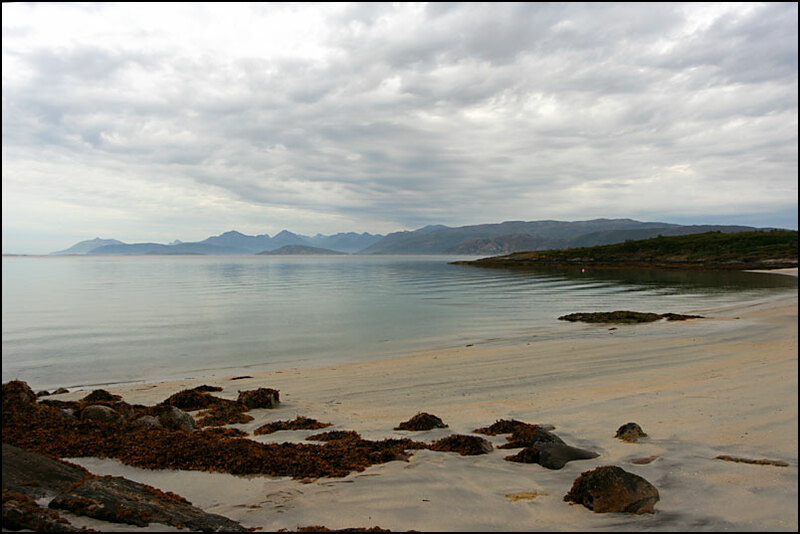 So we continued further south, through very impressive scenery… we made a nice stop on this big sandy beach in Flakstad. 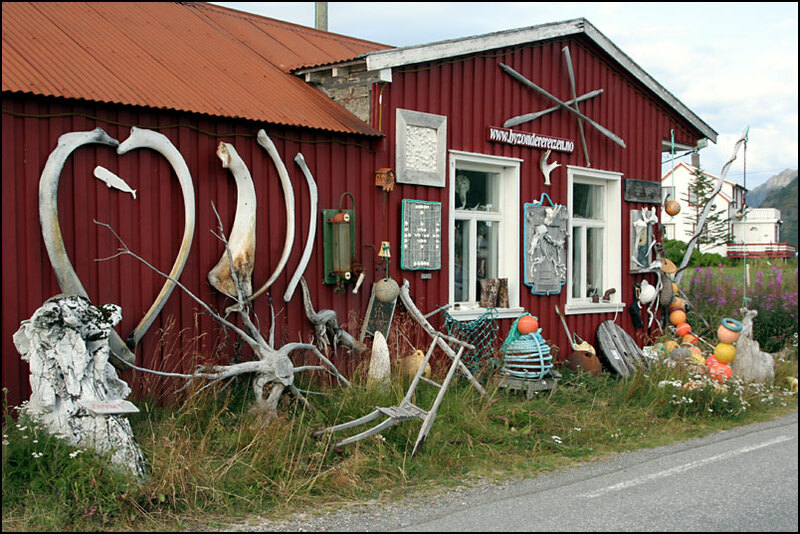 We then took a smaller road to the village of Sund. It’s only about 2 km from the main road, but it feels so much more “real” and less touristy than many of the places in the Lofoten. The evening light was beautiful as we drove into the little harbour… stunning!! Sund is really beautiful and I couldn’t stop taking photos! The one below is taken late at night, in the last light. 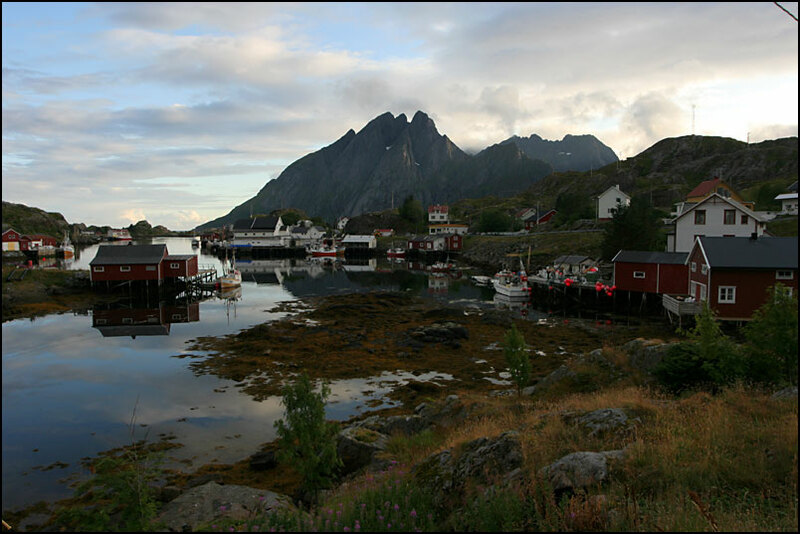 The next day we visited Å, the southern most village you can reach by road. 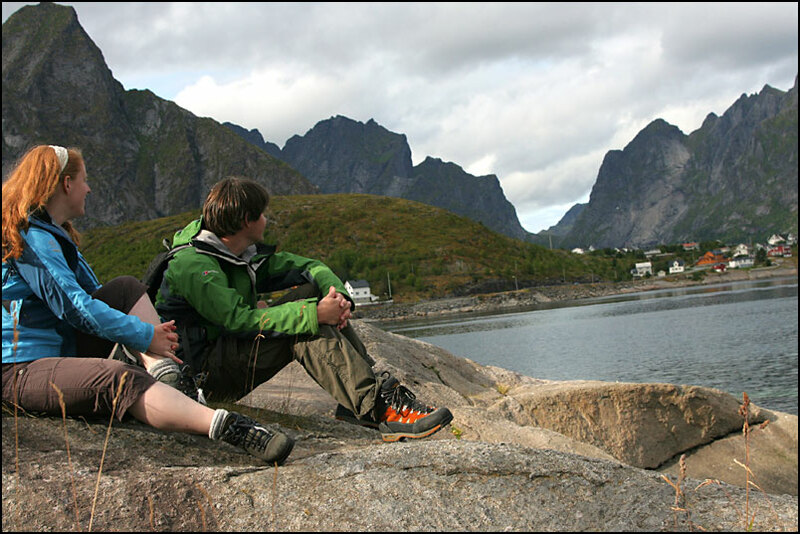 It came recommended by anyone we spoke to before we went to the Lofoten. It is very pretty indeed, but it’s a real museum village full of tourists. 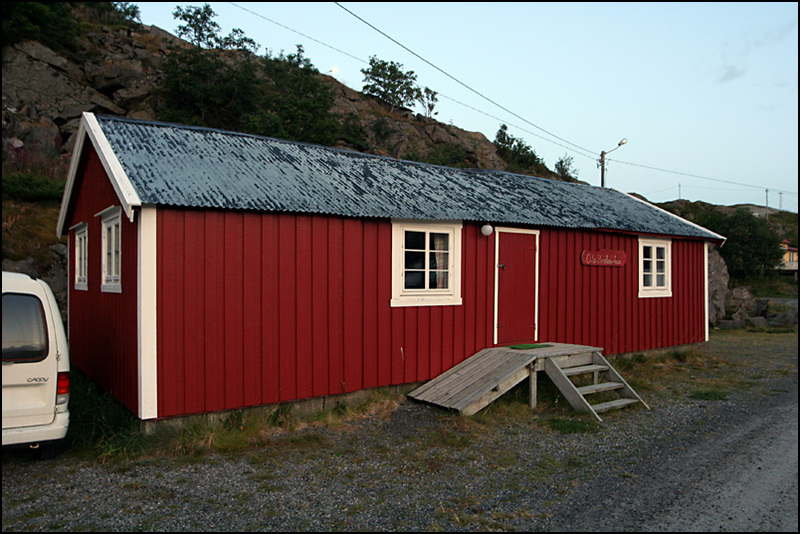 We did visit the Fishery museum there, but there was hardly any information on the exhibits (not even in Norwegian) and guided tours were given only once per day (and only once a week in English! ), so we were a bit disappointed. 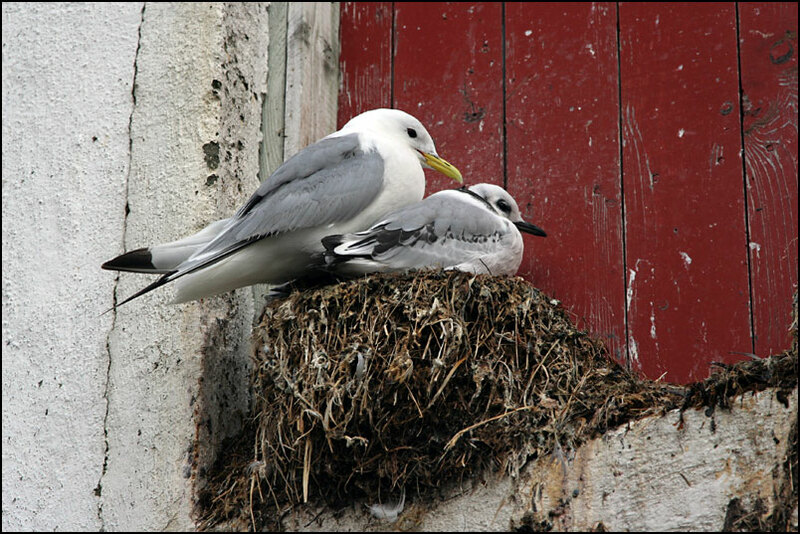 Below some images of Å: nesting sea gulls on one of the buildings, and the stockfish (tørrfisk) museum. 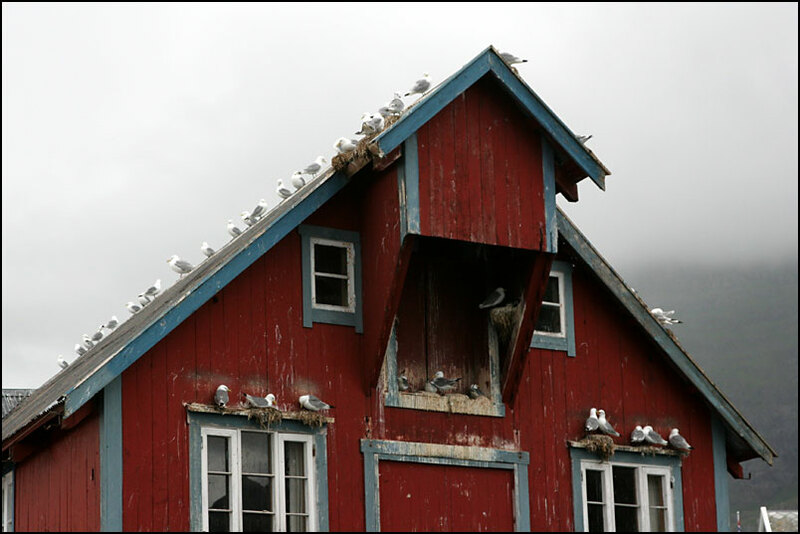 Stockfish is big business in the Lofoten, you can see the racks for drying the fish everywhere. But at this time of the year, they are all empty. 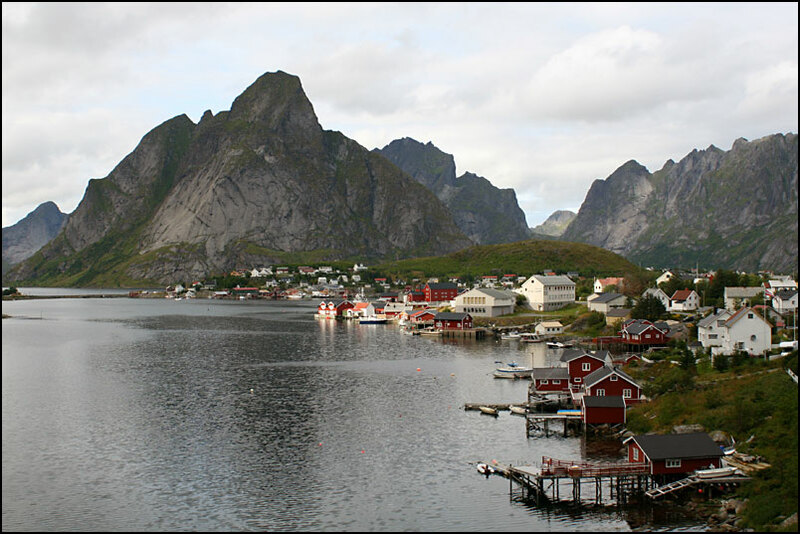 After leaving Å, we went to Reine, a small town a bit further north. Very nice as well! The next day we had to leave our rorbu (we would have liked to stay longer!) 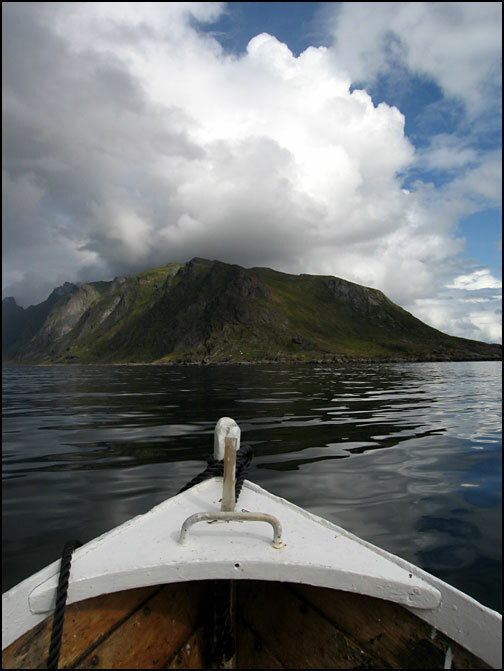 but we decided to use the rowing boat for a few hours. 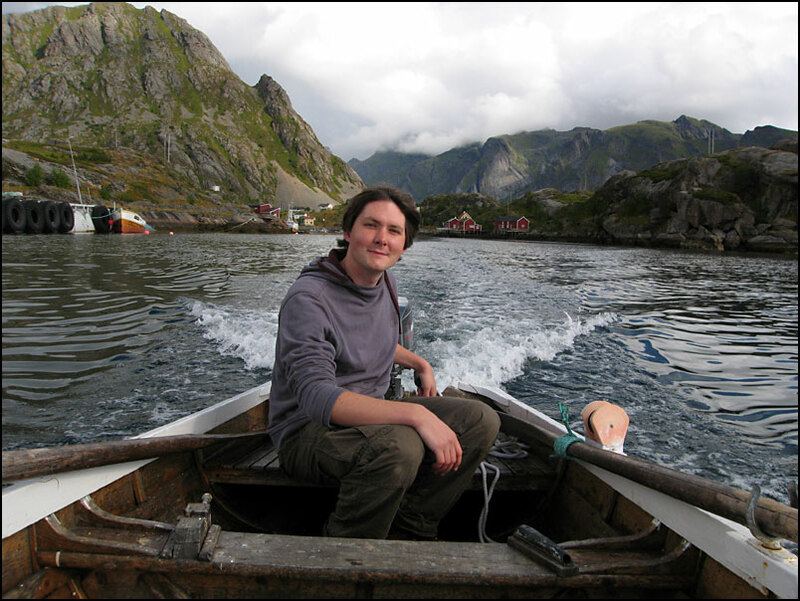 It also had an engine, so we got out to sea quite easily. The views from the water were beautiful! 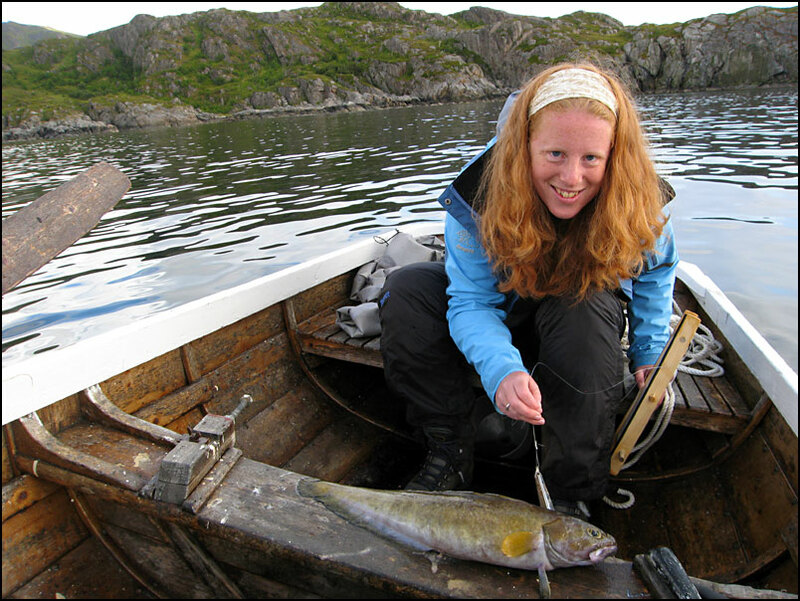 We tried our luck fishing from the boat, as we had heard that there is very good fishing here. Paul caught a small cod within a minute of putting his line in! 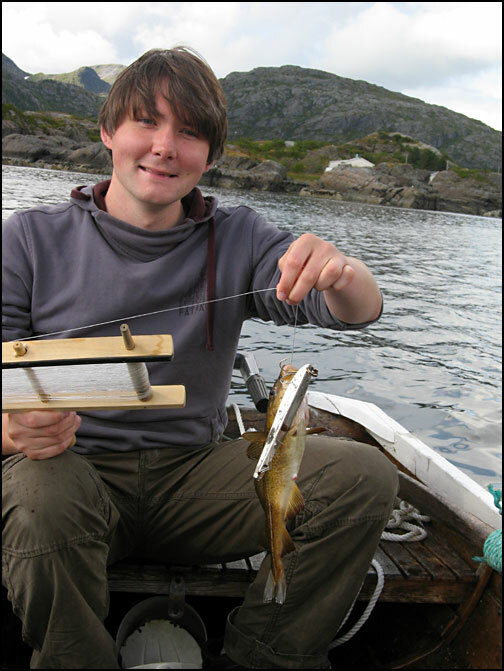 In the other photo you can see his second catch: a saithe (or coalfish) – a very pretty fish! I was using a different kind of line and did not catch anything. It had several hooks on it and was a lot harder to handle than the simple one that Paul was using. In the end, while fiddling with the hooks, I almost got one in my hand, and let go of the line… and there it went, lost forever… oops. Paul was feeling sorry for me, so let me try the other line and explained me his technique. 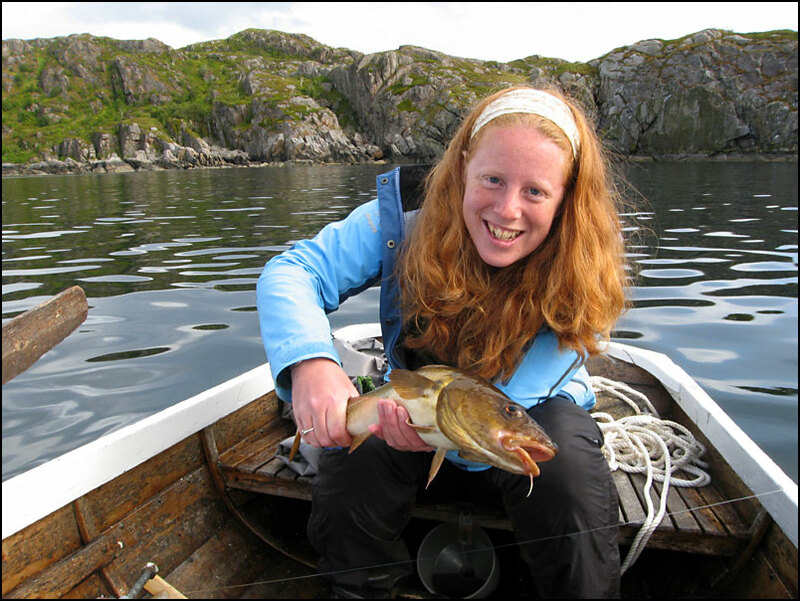 Quickly afterwards I caught this big cod! (on the left). My first catch!! It was quite scary actually and I was squeaking a lot.. 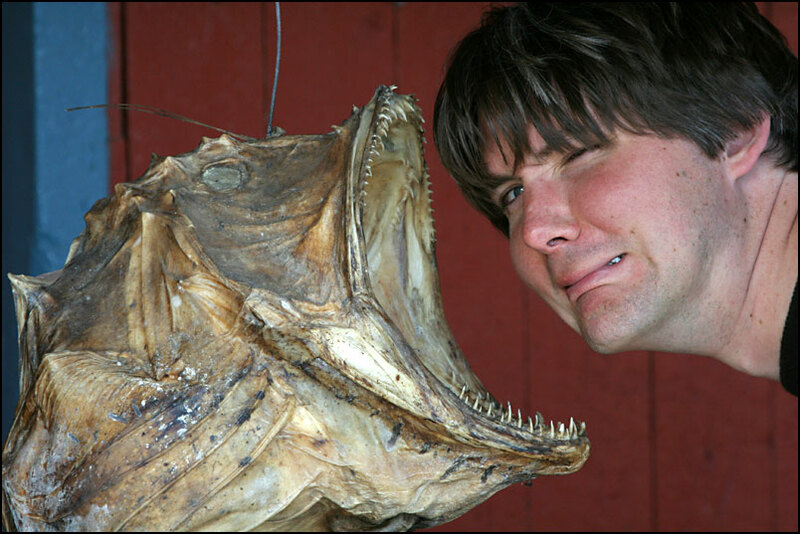 I didn’t even want to touch it, but as you can see, I got over my fear eventually (I’ve come a long way anyway, a few years ago I didn’t eat ANY fish products!). Still, I let Paul deal with the gutting… and while he was doing that, I managed to catch another fish. We had no idea what it was, we had to stop at the tourist info to look at a poster of fish species to tell what it was: a cusk, normally found in deeper waters. We drove back to Tromsø that day, so we bought some frozen vegetables in the supermarket (they don’t sell ice so this was a cheap option 🙂 ) and put them in a box with the fishes to take home. It was a long but scenic drive home, with lots of rainshowers, spectacular clouds, rainbows, bridges and tunnels (up to 6 km long!). 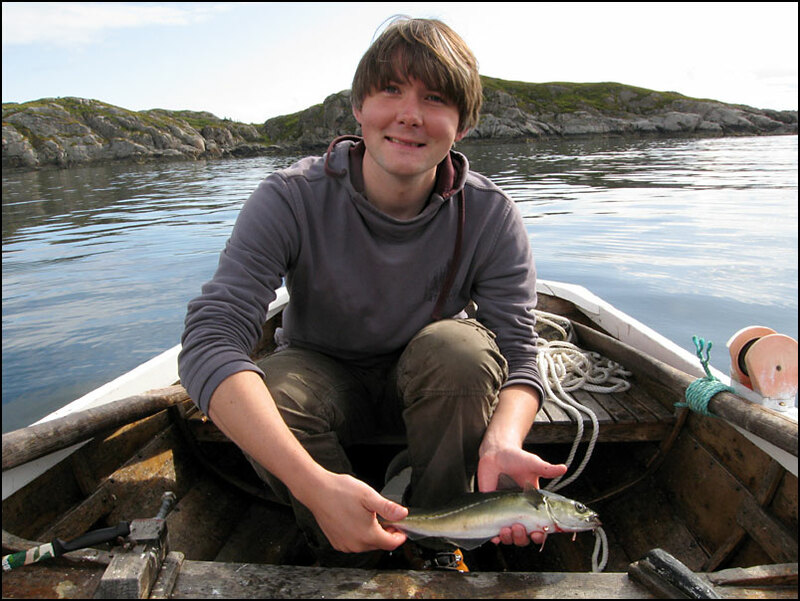 Paul’s parents arrived in Tromsø a day later, and we had the fish for dinner. I also picked blueberries while in the Lofoten so I made a batch of blueberry muffins. It’s so much fun catching/collecting our own food here! 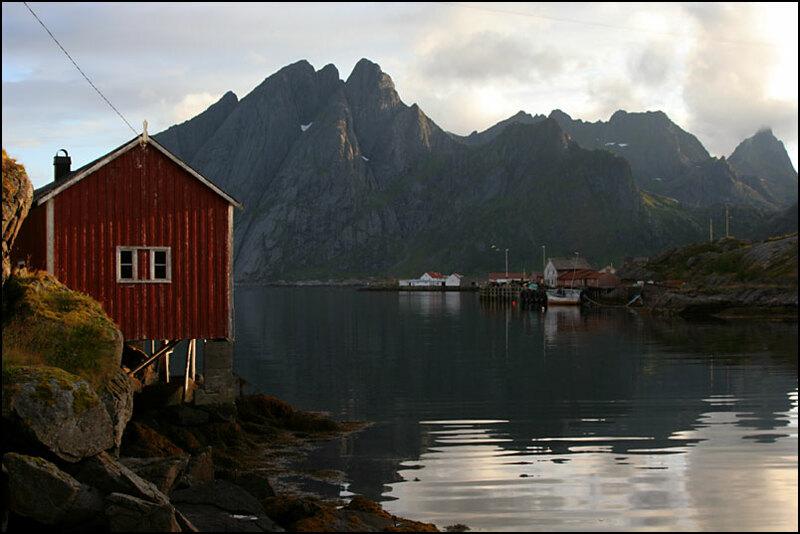 I really enjoyed our little trip to the Lofoten, such spectacular scenery there. I’d like to come back in winter someday :). Now we have Paul’s parents visiting, and we’re all flying to Trondheim on Thursday for a few days of sightseeing around there. I’ll try to post some photos when we come back! 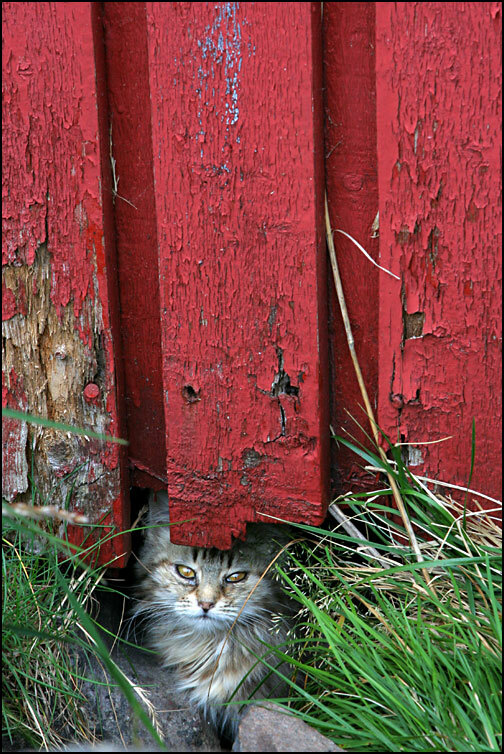 Je foto van de kat is super!! 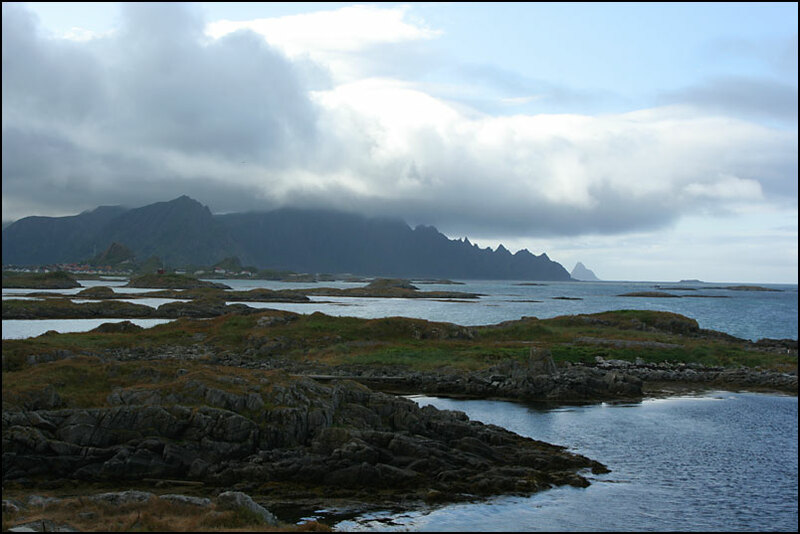 The Lofoten scenery is nowadays threatened by the oil companies wishes to exploit oil and gas outside Lofoten. The locals are in very strong opposition against the plans.. We don't think the fisheries and the oil can coexcist. 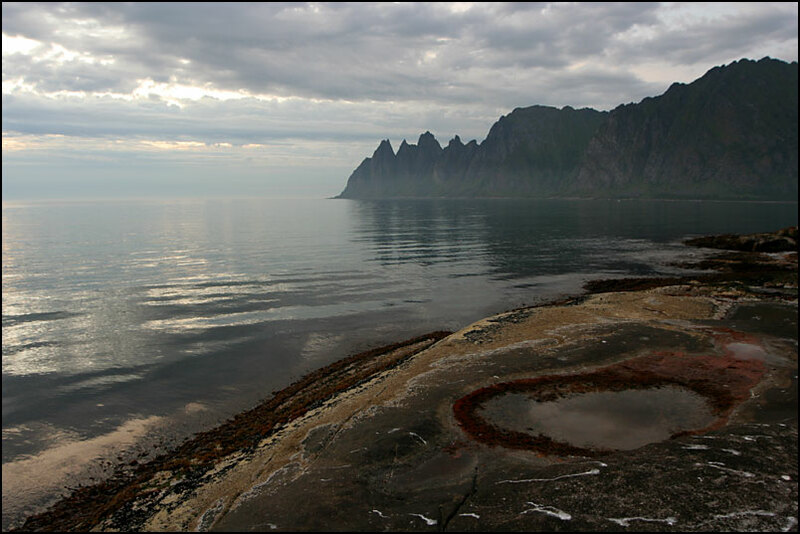 And I think it is also important to inform tourists about this things, because I think they can be important in forming opinions about oil drilling outside Lofoten. I hope you enjoyed the vacation. Great pics! I hope i can take a tour soon. 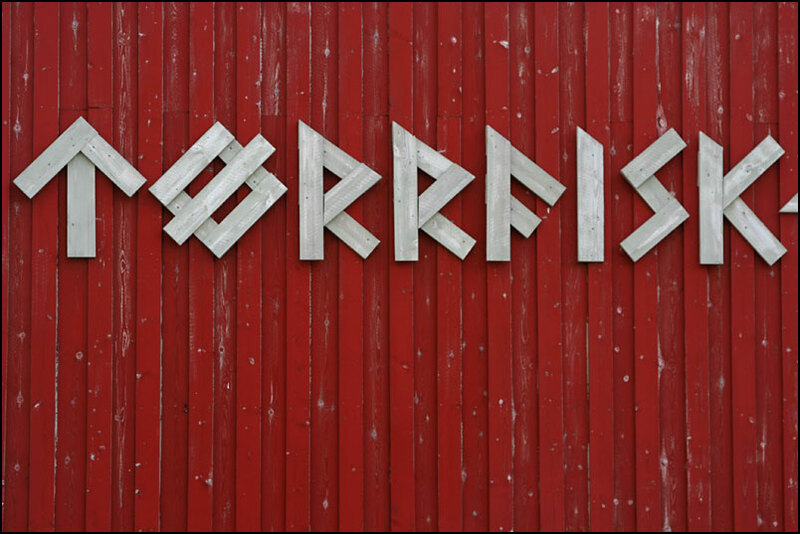 @Ørjan, thanks! 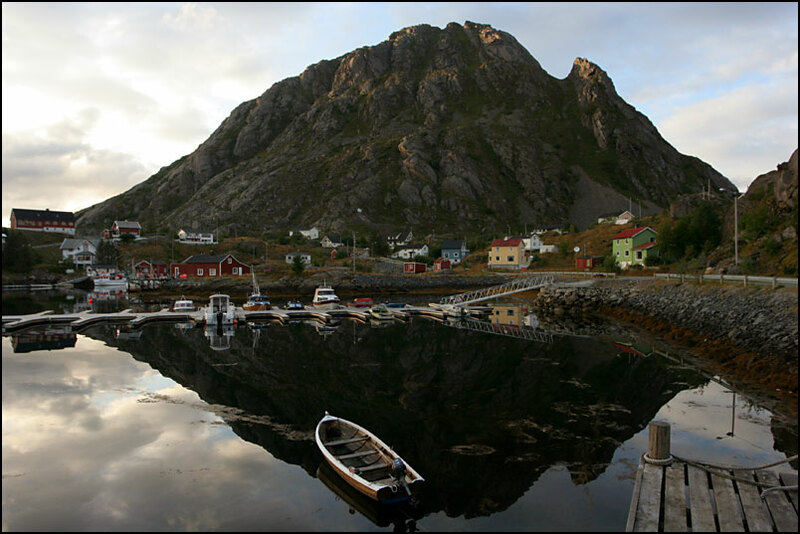 The Lofoten are a very beautiful place indeed, must have been a great place to grow up. 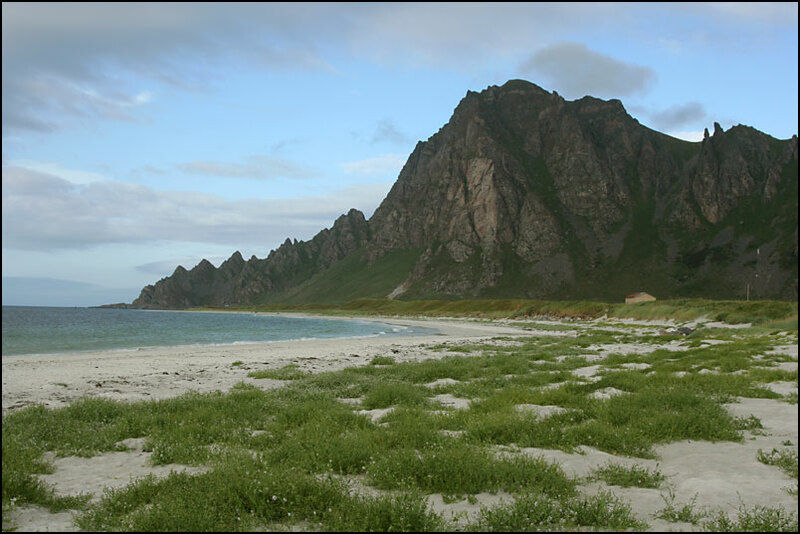 I signed a petition the other day against the oil plans in the Lofoten, it would be a real shame to spoil a place like that!